Thallus usually large, often to 30 cm diam. 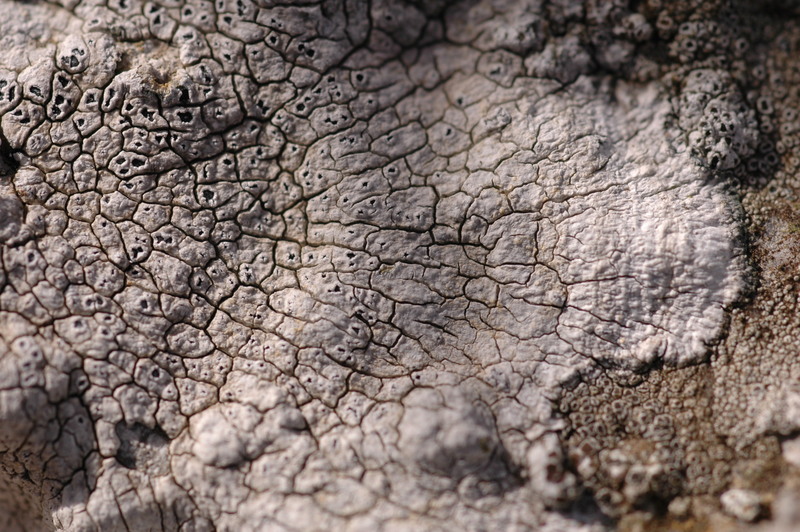 or more, forming circular patches, thick, finely cracked-areolate. 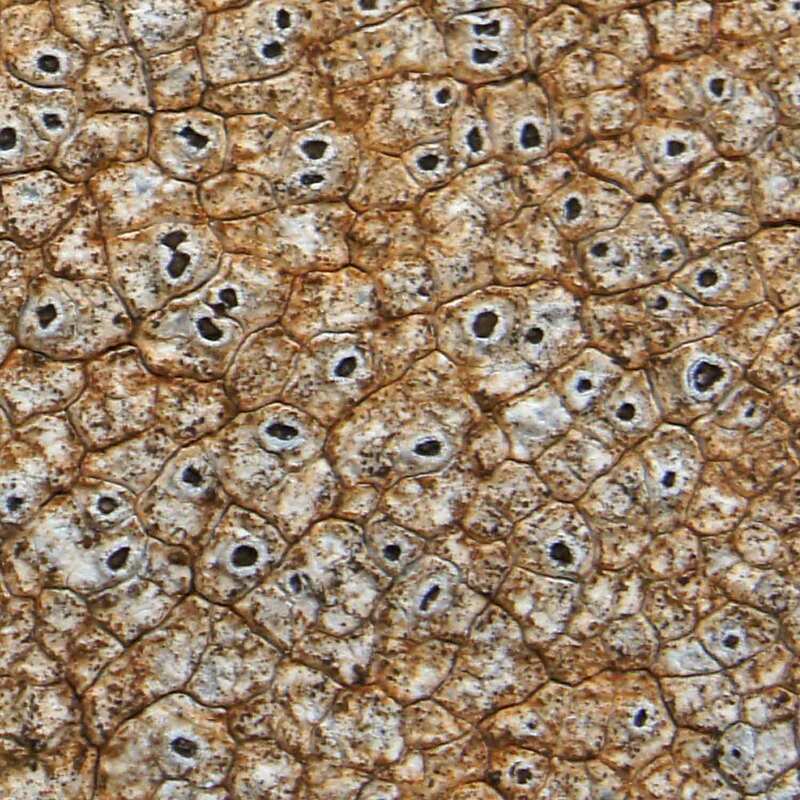 Areoles radially orientated especially at outer edge of the thallus, concave to plane when old, matt, chalk-white to pale grey, rarely stained rust-coloured, cortex smooth. Prothallus usually delimiting, dark grey, conspicuously zoned. Anamorph: conidiomata pycnidial, conidia 7-11 × 0.5-1 μm. 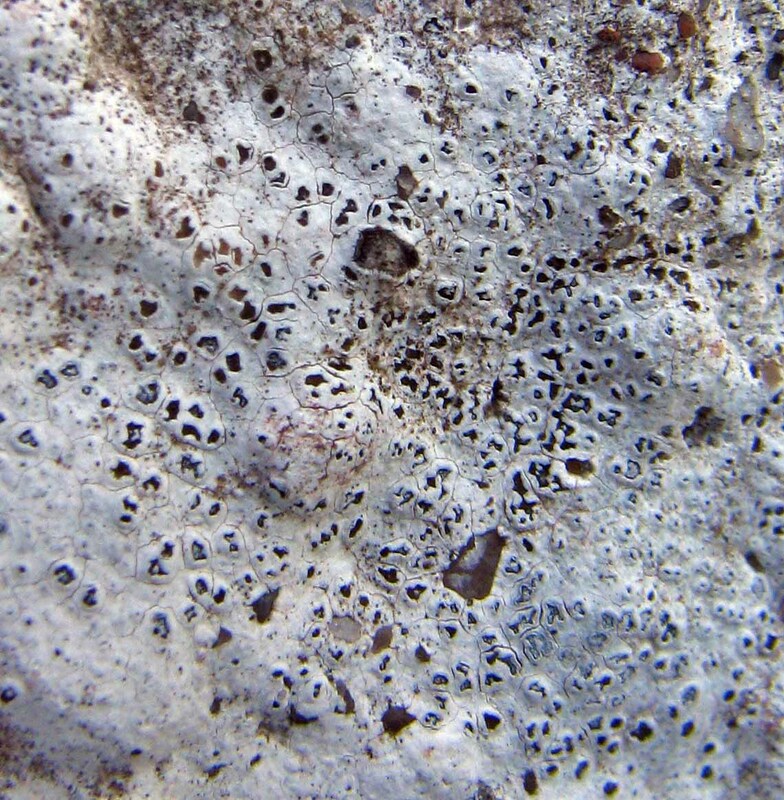 Teleomorph: ascomata apothecia, 0.2-1 mm diam., immersed, rounded or angular. Thalline margin thickened but only slightly raised. Disc concave, black, rarely slightly white-pruinose. Asci cylindric-clavate, thin outer coat K/I+ blue, wall and apical dome K/I–, 4-spored. Ascospores 18-30 × 14-27 μm, broadly ellipsoidal to subglobose, aseptate, hyaline, thin- and smooth-walled, with a thin epispore. Chemistry: thallus K–, Pd– (aspicilin). BLS map: click here. British lichens image: click here. Lichens Marins: click here. 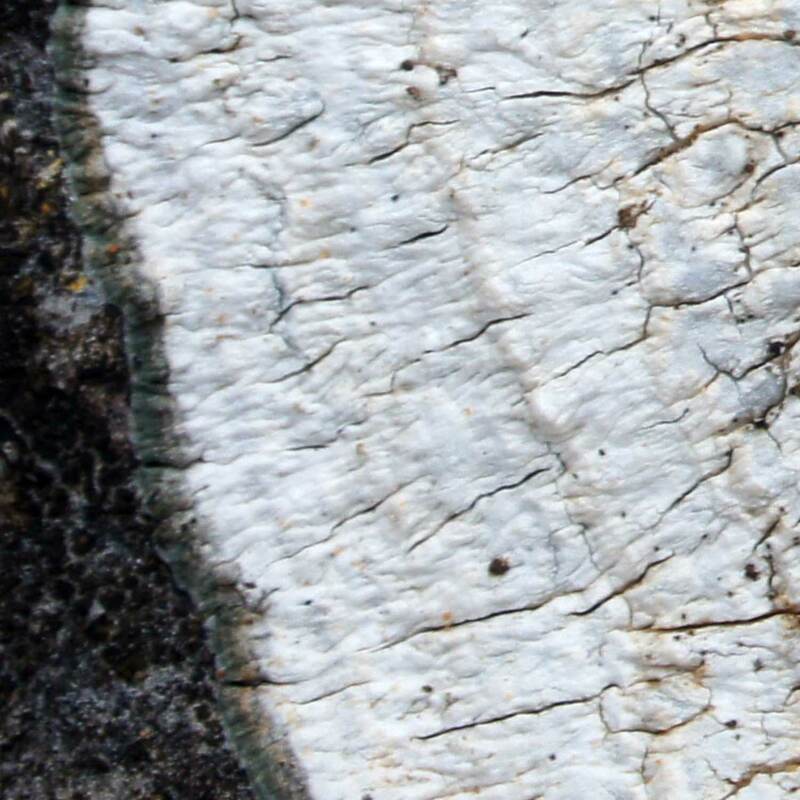 Silverside lichens: click here.